Being a single mother is not the preferred option for most women, and often comes with a number of challenges. But there are also a few unexpected advantages. Here are ten perks about parenting without a partner. Recent studies have shown that young children can be affected by even the smallest of arguments between their parents, and fighting with your partner can also be very personally draining on top of looking after the kids, work and other things. With only one of you running the show though, there’s no one to bicker with, making for a calmer home. Some couples have very different parenting styles which can be confusing for children and frustrating for parents. When a single mum creates a routine, she knows it’s going to stick with no disruption whatsoever (in her home at least). This can result in a more efficiently run household than one with two parents. When the kids are all tucked up in bed and the chores are done, there are no partner discussions about finance or working out what movie to watch, it’s all about mumma me-time. Whether it’s reading a book, having a nice bath, painting your nails or watching The Notebook for the one hundredth time, it’s entirely your call. If you can stay awake, of course! NB: This only applies for those with an ex-partner who shares custody of the kids, and you feel secure in them spending time together. For those in this position, it makes for a nice change to take a break from parenting for a few days each week or every fortnight. Which, of course, opens up the possibility for fun activities like sleeping, catching up with old friends, going on dates, going to the hairdresser or taking a Pilates class – all of which means you get to rediscover yourself outside of being a mum. With no snoring husband sprawled next to you taking up all the room and the airwaves, single mums get to spread out in bed and get a good night’s sleep all to themselves. There’s also plenty of space for the little ones in the morning for some cosy cuddles with mummy! Baked beans on toast again for dinner – who cares?! Everyone stayed in their PJs all day Sunday – whatever! You’re calling all the shots and there’s no other adult around to get all judgey about it. This is also great if you’ve let the legs get a bit hairy or are behind on the washing and busting out the granny knickers as a last resort. Your kids don’t care about stuff like that! Sure children are messy but what about adults?! One less grown-up in the house means fewer empty cups of tea lying around, no dirty undies and socks that didn’t make it to the laundry basket, and less stuff in general cluttering up the place. 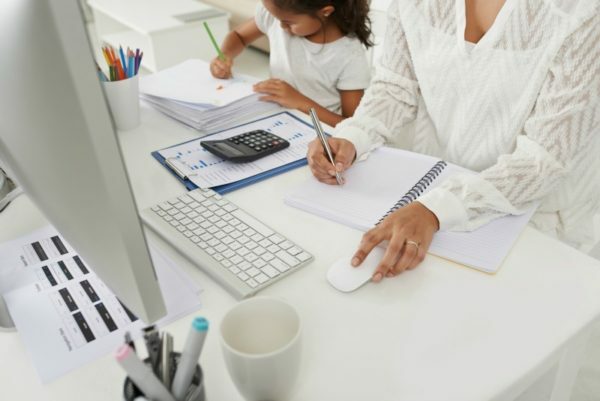 Single mums are often more motivated to fine-tune their finances and further their careers because they don’t have a partner to rely on – and also want to be a good role model for their children. Same goes for activities, because they’re committed to creating a fun and balanced life for their kids, without defaulting to someone else. In some preschools and daycares, single mums take priority on wait lists over those families with two parents. This is, of course, because single mums have to work and childcare is a necessity. Children who are raised by single parents often grow up to be incredibly responsible, capable and resilient because they’ve had to take on more chores and other tasks around the house to help out their mum or dad who’s flying solo. After a while it just becomes second nature to them to clean up after themselves and be more independent which can make parenting sooo much easier and set them up for life. Win win! Are you a single mum? What perks do you find about raising kids solo? Tell us on Facebook.